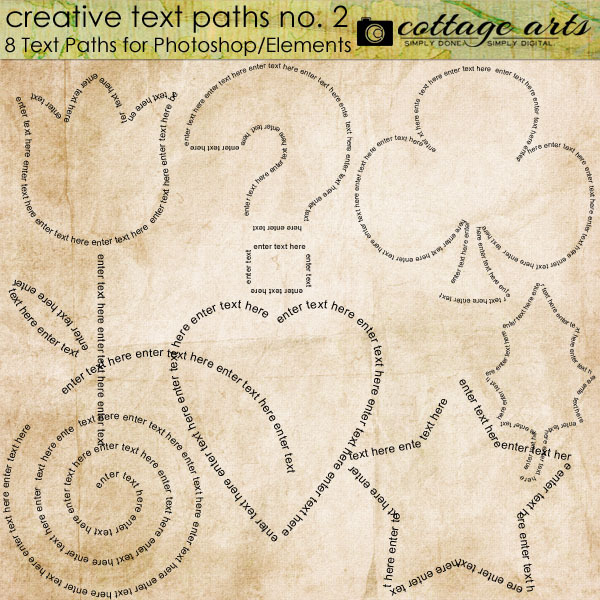 Get creative with your journaling and titles with our Creative Text Paths series. 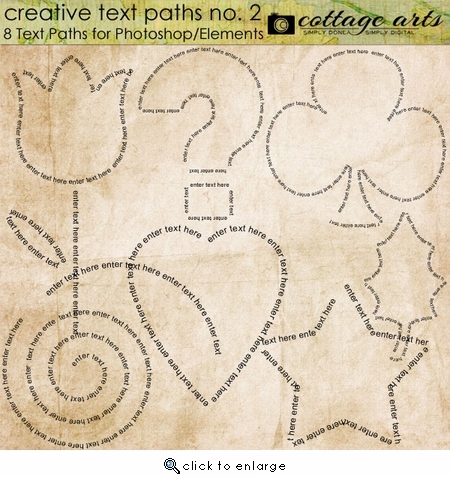 Contains 8 unique text paths in PSD format for Adobe Photoshop (version CS and above) and Photoshop Elements (version 5 and above). Simply open the text path in PS or PSE, select the type tool, click on the text where you want to start typing, enter your text, and erase the sample text with the delete key. Adjust font, color, and size to your preference. Depending on font and size you may need to play with spacing around sharp corners. Sized 5-9 inches at 300 dpi, and since they are vector paths you can increase the size, too! Includes a link to Michelle's Text Path tutorial.